Building upon five decades of faithful service, Sunset Inter-national Bible Institute has become a proven leader in advancing the church of Jesus Christ across America and around the globe. Tens of thousands of baptized believers in churches on every continent now worship the one true God. And this is just the beginning. Join our Legacy Circle by investing gifts, assets, or a portion of your estate with the SIBI Foundation, the permanent endowment of the Sunset International Bible Institute. 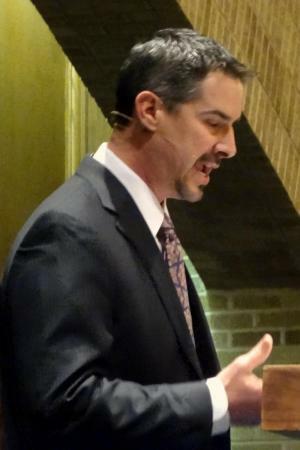 The Foundation has set a goal to manage $20 million in investable assets by the year 2020, a goal that would provide almost $1million annually to kingdom ministry. The Foundation is a legally-recognized 501(c)3 organization that receives and manages permanent assets, and strives to maximize investment returns with appropriate risk, all for the sole purpose of taking the gospel to all the world. All gifts to the Foundation are tax deductible to the fullest extent allowed by tax laws. Celebrate the life of a friend or loved one by making a donation in their honor or memory. Your gift will be used to train preachers and ministers for decades to come. You should have a will, no matter the scope of your assets. If you do not create one, your State has one already made for you, and it will likely not honor your priorities and wishes. There are often significant tax savings in donating appreciated property or securities to the SIBI Foundation. Donating property during your lifetime or directing property to Sunset in your estate plan has the effect of reducing the size of the estate and may reduce or eliminate capital gains and other income taxes as well as estate taxes. A charitable gift annuity is one way to secure a fixed income for life while enjoying a significant income tax benefit and a possible reduction in estate taxes. Irrevocable Charitable Trusts offer some significant advantages. Let us help you investigate the option that best fits your estate planning needs. Substantial income tax and estate tax savings can often be achieved through a properly structured trust. In some cases, you can donate a significant amount to the SIBI Foundation without lowering the amount you wish your heirs to receive. Making a donation to the SIBI Foundation through a life insurance policy might provide a tax savings for you now, and can provide significant financial benefit to the school. Making the Foundation a beneficiary of a life insurance policy may also reduce your estate, effectively reducing or eliminating estate taxes. The SIBI Foundation has access to Christian professionals who can offer assistance to you and/or work with your tax advisor. 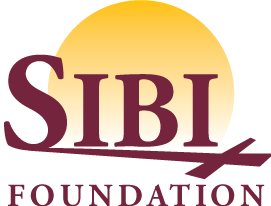 The SIBI Foundation offers free seminars jointly with professionals in the field of estate planning. Contact us about a special seminar for your church or group.